Research is answering the question of “do children learn through play?” with “yes they do”. 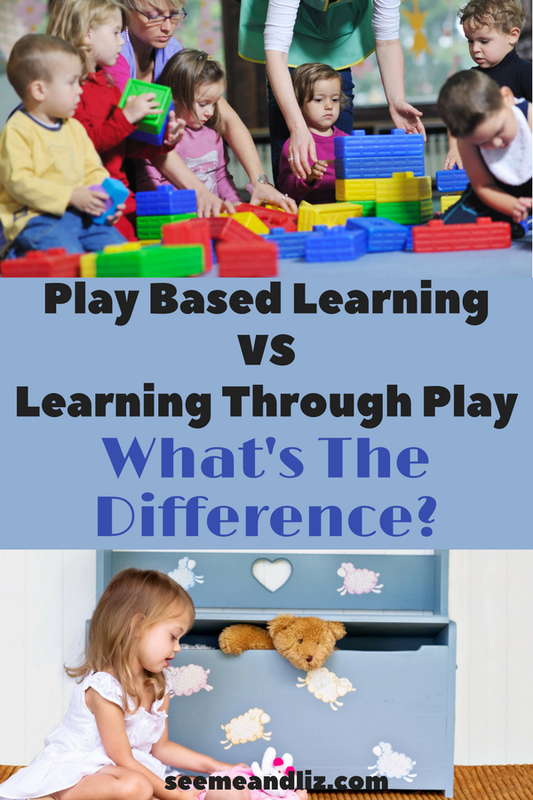 However, play based learning and learning through play are not the same thing. Let me explain. I do not believe that these phrases mean the same thing. However, the terms are used interchangeably quite often. 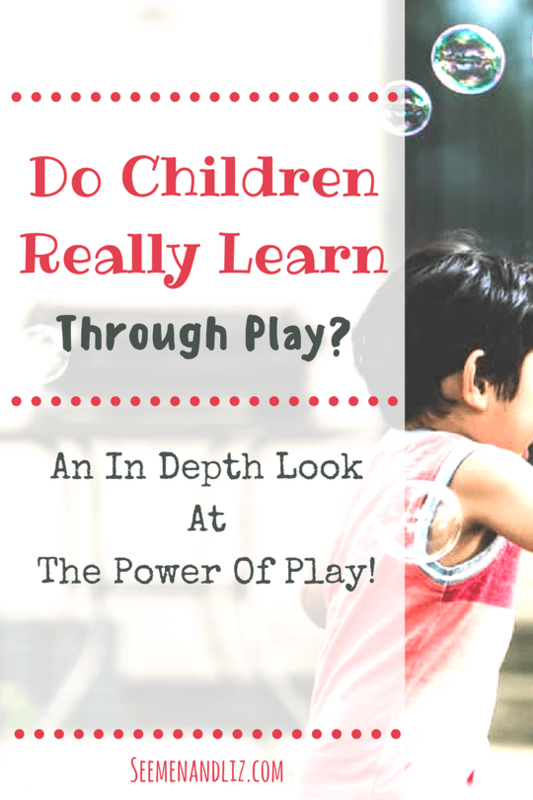 In this article I will be providing my opinions about whether or not children actually learn through play and why I feel that play based learning is not the same thing as learning through play. Notice that I italicized my opinions? I want to make it clear right from the start that this article is based on my experience learning about and working with children. Therefore, I won’t be providing links to research to back up each and every one of my statements. The point of the article is to demonstrate the importance of all kinds of play, both child led and adult guided. This is a twist on traditional academic learning. As research is showing that children actually do learn many skills when they play, some school boards and private schools have moved or are moving more towards play based learning for young children. As the goal of school is to teach children academic skills such as reading, writing, science and math, these are still goals in a play based learning model. However, with a play based approach children are encouraged to learn these skills through play, rather than sitting at a desk and mindlessly listening to the teacher and completing worksheets. This type of play is not unstructured free play. This type of play is adult guided. The adult (teacher) is responsible for setting up play scenarios. For example, a Doctor’s office, a pizza shop, a pet store, a block area, etc. Children are inspired to play any way they would like within these centers, but the teacher has a goal in mind. If a child is unsure of what to do, the teacher will step in. Teachers are often seen playing along side with the children. A lot of activities for children you see on Pinterest are examples of play based learning. The parent has taken a lot of time to set up a sensory bin, for example. The goal is to teach specific skills in a playful environment. During my time working as a speech-language pathologist I would often make these types of bins. I would then include little items for the child to find. If the goal was to produce a good “f” sound, the items would all start with “f”. It was fun for the child (more fun than just looking at flash cards or worksheets), however this was an adult led activity. Please do not feel bad if you aren’t setting up extravagant play scenarios, art projects, etc. for your child. If you enjoy that kind of thing, then go for it and set up some of these activities. But remember, this is not something you should be doing all the time, nor is it necessary for your child’s development. Take a look at this video that shows play based learning in action! This is true unstructured play! Many skills are learned naturally through play as opposed to play being used to teach skills. 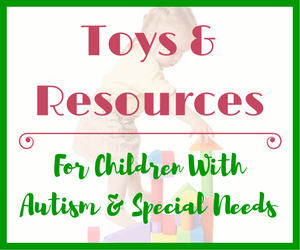 No activities are set up and children are able to play with any toys or other items that they choose. True play works well outdoors as there is so much for a child to learn and discover. An as close to natural “learning through play” environment that still has adult involvement with goals in mind, would be a Forest School. As I had only heard of this type of school about a year ago, I did some research to learn more and ended up writing an article about it. You can read that article here. ♥ There are no extrinsic goals (for example, to learn a specific skill). ♥ The child is enjoying himself/herself. ♥ Play is not structured – there is no set time or order for activities. If any structure is seen it has been decided on among the children involved. ♥ There are indications of pretend play. ♥ Play is spontaneous and each child decides if he/she wants to join in. All of these skills are necessary in order for other forms of learning to occur and be strengthened. Think of these skills as the building blocks for future academic learning. Free play is sadly being phased out of many schools as academic learning continues to be pushed on to children at younger and younger ages. I really hope that educators and policy makers will see that this is not the way to go. Obesity rates continue to increase while physical education is no longer seen as an important subject in many schools. For children in preschool, kindergarten and even grades 1-3 play should be valued and time needs to be set aside for it. A 4 year old should not be expected to sit at a desk for an hour listening to a teacher talk and completing worksheets far above his ability (or interest). However, that is the expectation in many school districts and as a result children are suffering. A child may be labeled as having ADHD because he is not paying attention in class. But if the expectations exceed the child’s capabilities for his age, of course there will be issues. If that same child was given the opportunity to get up, walk around, jump up and down, play with some toys, etc. many of the “issues” previously noted would no longer be present. Which Type Of Play Is Best For Learning? Both! 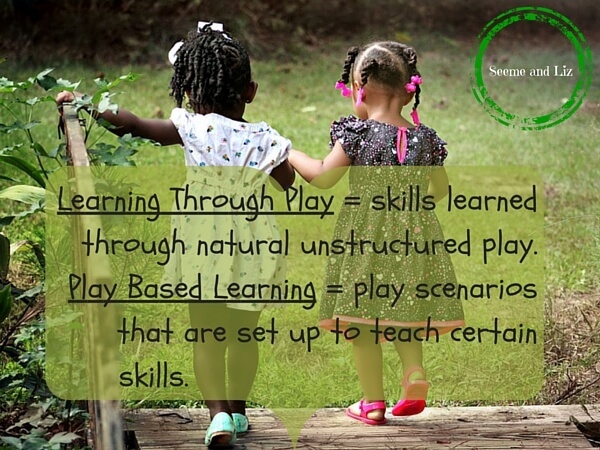 There is a time and a place for play based learning and learning through play. There will be some of you who disagree, but I believe that most children learn skills such as reading, writing and math best through some explicit instruction. It is at what point in a child’s life that this explicit instruction occurs that is of importance. For example, teaching a toddler to read would not be an age appropriate skill to be working on. Prior to the age of 3, parents and caregivers will be and should be quite involved in their child’s play. This does not mean that the adult should dictate the play. But in order for a child to learn speech and language skills, for example, they need to hear many words over and over again. As your child gets older, follow his lead in play. At 18 months, many children will already demonstrate independence by playing on their own. Most children under the age of 6 aren’t ready to be “taught” in an academic sense. 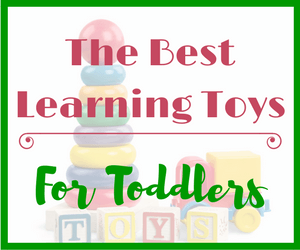 But in order to foster learning later on, you can still provide your baby and toddler with quality open ended toys, that will naturally encourage language learning and cognitive development through interaction with adults and peers. 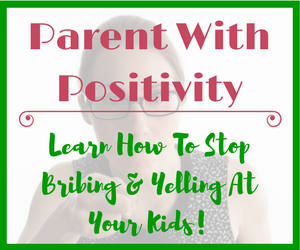 I am not trying to say you should simply let your child do whatever he wants, whenever he wants, and with whatever he wants. Rather be there for your child. Answer his questions to the best of your ability. If he seems unsure of something, help him out (but give him some time to try on his own first). Make a variety of experiences available to your child, for example, walking barefoot in wet grass, or painting with his fingers. 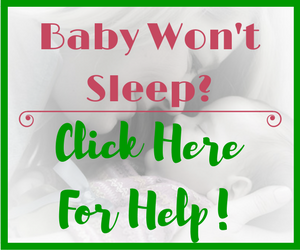 Talk to your baby about everything you are doing with her, narrate your day. Make funny faces and use a fun sing song voice (but don’t overdo it), read lots of books together. You get the idea. As a child gets older, there is absolutely nothing wrong with taking a step back and letting your child play freely. In fact, this needs to be encouraged more. Let him take some of the skills he has learned in his first 3 years of life and run with them. 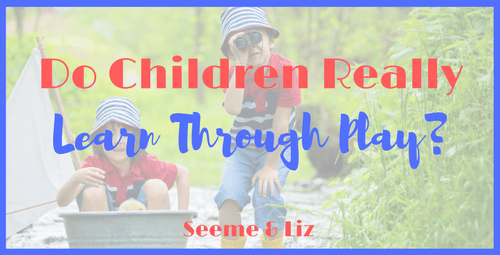 By taking a step back you will see how your child is able to solve problems on her own, how she compromises with others, how she uses her imagination to come up with a new game, play scenario, etc. Children need to learn how to do things on their own without an adult coming to the rescue. So give them some suggestions. For example, a craft, a new game, pull out a toy that has been neglected, etc. When children are partaking in too many structured activities, they begin relying on adults to direct their day. As a result, they may start falling behind in areas such as self motivation and critical thinking. One other thing to keep in mind is that if your child has a disability (including speech-language delays) she will most likely be receiving therapy of some kind. These therapy sessions will be made up of play based learning activities as the therapist is trying to help your child achieve certain goals. However, if the goal of a speech therapy session is to increase a child’s ability to take part in pretend play, for example, the therapist should not always be leading the scenarios. Find out why here. Take a look at this short video (5 minutes) to learn all about the different types of play and why each are important. Children Really Do Learn Through Play! As you can see, I strongly believe that children thrive and learn when they are able to play in an unstructured child led environment. However, adults have prior knowledge that can help children learn. During many of my speech-language therapy sessions I would say to parents “you are your child’s best teacher”. By this I mean children look up to their parents, they mimic them whenever they can. Think of a child’s development in the way you would build a house. You would want your house to have a solid foundation (in the case of a child, this foundation is set through play and exploration). Once the foundation is ready you can start adding electricity, pipes, water etc. Next would be the interior and exterior finishes. Once a child has learned basic skills such as the ones I discussed in this article, they are ready to learn more specific skills such as letter recognition/naming and letter sounds (this is like making sure your new house has electricity and running water). Finally, your child will start having likes and interests that she can now pursue thanks to you helping set the foundation. I have had a few readers ask me about unschooling. This type of education method is completely child led. It has come under criticism several times and parents following unschooling have been accused of being lazy with regards to their child’s education. I do not know much about unschooling, but from the little bit I do know, it is not for me. While I am all for unstructured child led play and learning, I do believe there is a time and a place for traditional academics. Many researchers are starting to look at the Finnish school system where children are not taught formal academic skills such as reading, until the age of 7. Despite this, these children score higher than almost all other students around the world on formal testing in grades 8 and beyond. This does not mean that these children roam around doing as they please before the age of 7. In fact, Finnish children do participate in daycare and/or preschool where they sing songs and socialize all while learning skills in a play based environment that will get them ready to take on academics. Bottom line, playing is a child’s job! But they need adult interaction and engagement in order to learn new skills. We need to find a happy medium for our children. Too much emphasis on structure and academics at an early age is not a good thing. But neither is letting children do as they please without adult guidance. Let’s get this discussion going. Are there benefits of unstructured free play? Do Children Really Learn Through Play? What you need to know! 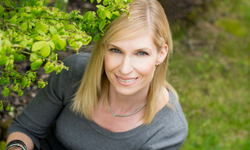 Hi Tanya, I loved this article! Thank you for clearly defining and differentiating between the two terms. I would definitely agree that there is a time and place for both types of learning, especially in the younger years. As a homeschooling mom, I have seen the benefits of both structured and unstructured time for learning. After we finish our formal learning for the day, my kids have lots of free time in the afternoons to explore, build, play or do whatever they want and it fosters great imagination! Blessings to you! Glad I was able to successfully explain how play based learning and learning through play can be viewed differently rather than interchangeably. 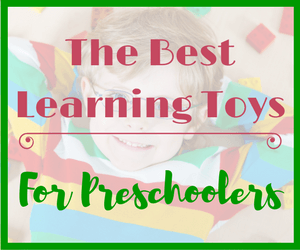 It sounds like you are giving your children the perfect mix of all kinds of learning! Hello, I have visited and read your page. It’s very relevant to me as I am raising 4 very active and smart kids. I agree with everything you have stated from your experiences being a Speech Pathologist. Learning through play and play-based learning should go hand in hand as I believe that one compliments the other plus the academic structured learning. The result is far more competent children in my own opinion based on my own experiences as well. Bottom line I hope that there are more parents that read your article so more kids can be helped. It’s informative and realistic for me. Thanks so much for taking the time to browse around my site and to leave a few comments. I completely agree that children need a good mix of various forms of learning. And as I mentioned in the article that entails unstructured free play, guided play as well as some structured academic learning once they are a bit older. get bored but it also teaches you to be able to be comfortable with themselves without having to be stimulated by someone else or technology, Thanks for sharing this. When I grew up we children had a lot of time and spaces to play. In our present world children are carried around to constantly DO stuff which their parents want them to do and they rarely have the possibility to explore life playing. You do a great job to stress the importance of play for the psychological and social growth of human beings. Many problems of young adults (like adhering to fundamentalist ideas and ideologies) come from their total lack of play in childhood and they, in later years, sort of catch up in an often quite dangerous way. Well outlined the different kinds of play and the development of rules – a form of ethics – during the play which is acted out long before the rules can be named with words. By teaching people about the importance of all kinds of play, for children (but also for adults) to keep us healthy in many ways and to allow us to grow properly as human beings you do a great service to the world. Thank you! Thanks so much for your comment Heidi! You’re right, adults need to play as well. It is something our society doesn’t value much these days. And possibly a cause in the increase in mental health issues. Especially in children. Childhood is not supposed to be a time of stress and anxiousness! This is a brilliant read!! I love seeing children blossom through unstructured play. It’s a great way to really let them use what they know and solve their own problems. I’ve always found its a starting point for play based learning, a way to identify gaps and find out what their real interests are. The sad reality is sometimes I find children have no idea how to play unless it is guided by an adult. Thanks Becky! Yes, many children don’t really know how to play anymore. So many times I hear kids say “I’m bored, what can I do?” My own kids say that to me, and I tell them to go and play. They figure it out. Children shouldn’t have agendas that are booked from morning to night with structured activities! Wow, Tanya, what a comprehensive article… & I have yet to click on the links to your other articles which also sound intriguing. My son is 2 & a half and I was considering teaching him to read soon as he is showing an interest and loves identifying numbers. Am I pushing him too hard? He has been an early developer in most areas, especially speaking. Are there cases when you do advocate early reading? I am glad that you enjoyed the article. Take a look at the article Why I Didn’t Teach My Toddler To Read – And Why You Shouldn’t Either! It should give you some insights on pre-reading skills you can work on with your son. At 2.5 years old your son should really be playing. Continue to read to him and encourage him to look at books on his own as well. He needs to develop the foundation skills for success later on. If he naturally points at words and tries to sound them out, then for sure help him and encourage him. You don’t want to suppress his love for reading, but you also don’t want to be “teaching” him at a young age. Words are all around us, so continue to point out letters and numbers, but keep it as natural as possible. No flashcards or worksheets! Remember, this is my opinion, you will get differing opinions elsewhere. Presently I live with my new wife and she (me as well) have a 4 years old son. I had never thought that I do not know how to nurture. Only TV and tablets, no way to play with older brothers Lego games at least. I got same good ideas after reading your post. I am glad that you found my article thought provoking. I am sure many things have change since you raised your older children. People need to focus on simplicity rather than trying to turn their children into little geniuses.